The lovely folk from Beeches rather kindly sent me some of their after dinner mints to try. 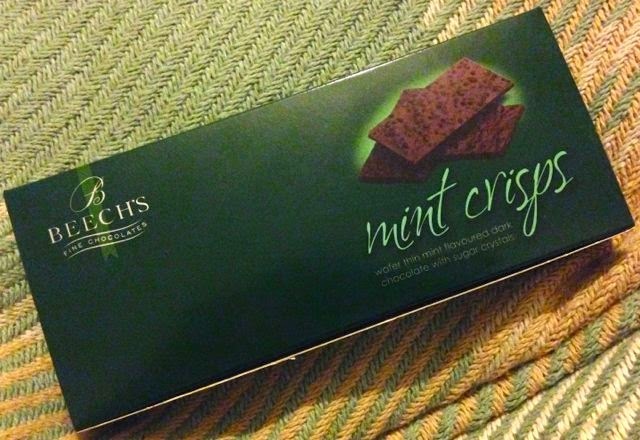 I do like the combination of chocolate and mint, but have to admit to not buying it very often, so it was nice to have these as a treat. 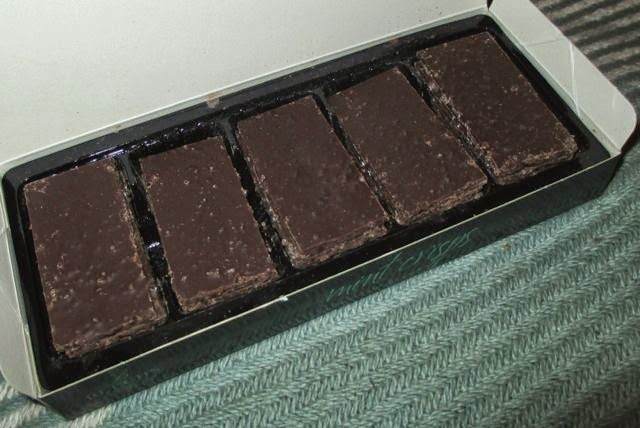 Inside the box are chocolate thins, rectangular in shape with a rough surface showing off the bumps of mint crystals within. The chocolates are quite thin and look like slices. The texture of the chocolate is quite firm and snappy, but has a lovely dark chocolate flavour, there is obviously plenty of cocoa. It is strong, but there is sweetness too, offset by the wonderfully strong crunchy mint and sugar crystals within. With the thin but firm chocolate and crunchy bits the texture was very pleasing to munch on. I loved the strength of the mint, there was loads of peppermint and it made them very refreshing, and yet still super chocolatey too. This gave them a very moreish feel. If you are serving these up as treat with a coffee for friends, don’t expect there to be much of a box left once you get started, even if there was only two of you! I know I’m going to have to make the effort and buy chocolate mints a bit more often than I do, and the Beeches ones would take some beating.